Professor Musgrove teaches courses in Post-WWII United States History with an emphasis on African American politics. He is the author of Rumor, Repression, and Racial Politics: How the Harassment of Black Elected Officials Shaped Post-Civil Rights America (U. of Georgia, 2012) and co-author, with Chris Myers Asch, of Chocolate City, A History of Race and Democracy in the Nation’s Capital (UNC, 2017). 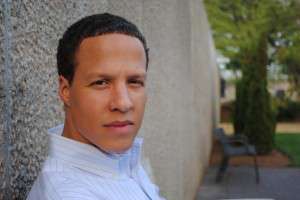 He is currently working on a web-based map of the black power movement in Washington, D.C. and beginning a book project tentatively titled “We must take to the streets again”: The Black Power Resurgence, 1982-97. Professor Musgrove earned his Ph.D. from New York University in 2005. He lives with his wife and two sons in Washington, D.C.